While we was on holiday and after visiting wookey hole, we went to Cheddar gorge on the way back to our accommodation, Now I myself had visited Cheddar gorge years ago this was when my daughter was only about 4, which on that visit we had a full ticket to see all the 7 attractions the current price is £18.50 Adult, £12.00 Children, Under 5’s Free and a Family Ticket is £50.00 you can save 10% if you book online. This time we didn’t get the tickets as was late in the day and we just wanted to see the gorge and the town, we had a nice drive through the gorge, which is Britain’s biggest gorge with the cliff rising over 450ft. along the road there are several pay and display car parks so you can admire the view, the day we was there it was really clear sky’s so great views of the gorge cliffs. Entrance to the three following caves, Goughs cave, Cox’s cave and the crystal quest from what I remember of my visit years ago these are really beautiful caves, you can see loads of stalactites in goughs cave which is where the cheddar man was discovered which is Britain’s oldest skeleton. In the Crystal quest kids can follow the quest and meet the lord of darkness and his dragon, now when I went my daughter was really young but did get scared in this part and I had to take her out, so may not be suitable for younger children that get scared easily. The Lookout tower and cliff-top gorge walk, now this is for the energetic, as to the top there is 274 steps up the side of the gorge and then another 48 more to the top of the lookout tower, but it is well worth it as there was great views around the gorge. The Gorge bus tour this is a great way to see the gorge as starts from the bottom in the town and in this open top bus you have a guide that tells you about how the gorge was formed millions of years ago, this takes about 20mins. Then there is the museum of pre-history, which show you the story of our ice age ancestors lived. There is also the cheddar gorge x-treme real caving and rock climbing, this is at a additional cost. We had a nice walk through the town as this was just the two of us, with no kids so we could just enjoy the shops and scenery, there are some great gift shops selling loads of unusual stuff. They are all worth a visit, we could have spent a lot longer around but we had got there later in the day and most places were closing. 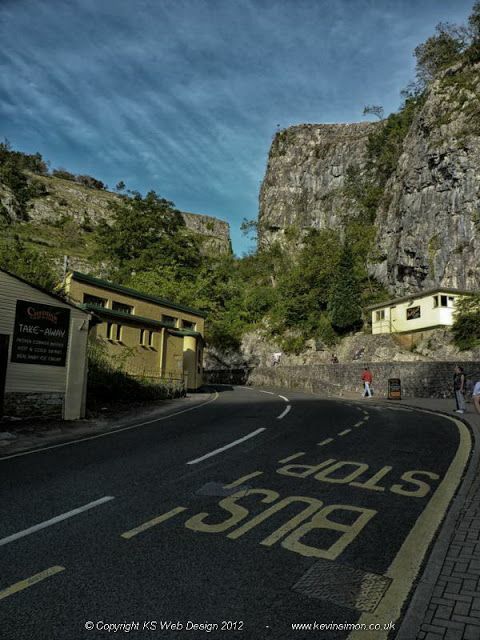 But from my previous visit and this time cheddar gorge is well worth a visit if you are in the Somerset area as the gorge is a renowned beauty spot and is a national nature reserve.